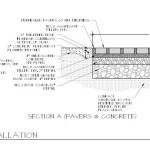 To address both the increased stormwater runoff generated by the impervious surfaces of the plaza and the constraints on the trees, we implemented LID strategies in the form of a permeable paver system in the gridded bands on the plaza surface and provided structural soils (a blend of gravel and organic materials that promote robust and healthy root systems) around each tree to provide healthier growing conditions. 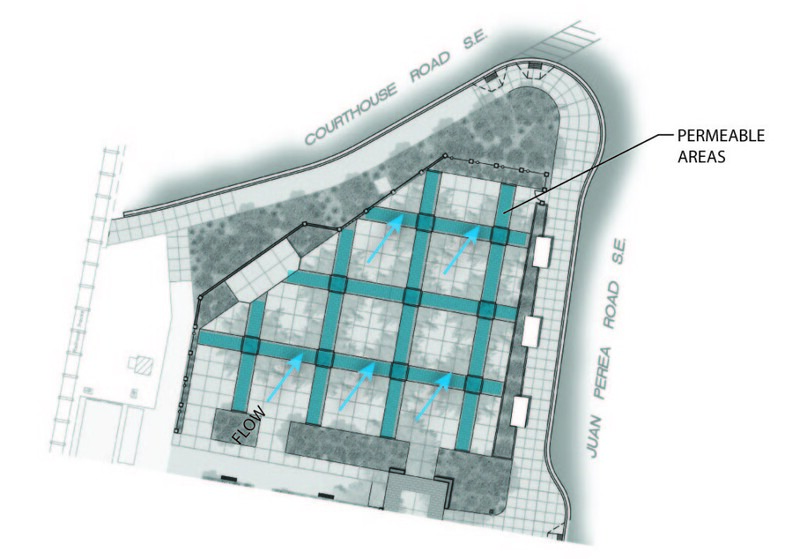 The concept is that the plaza will drain from the southwestern corner to the northeastern corner and that the surface runoff will be intercepted as it crosses the band of permeable pavers. 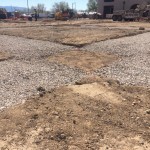 As it is intercepted, it will percolate into the subsurface and structural soils surrounding the tree wells, therefore providing supplemental water to the tree roots, which will encourage a denser tree canopy providing more shade for users in this space.